Metallic rings outline the shapely cut-out top of these everyday booties, glinting with a hint of metallic edge. 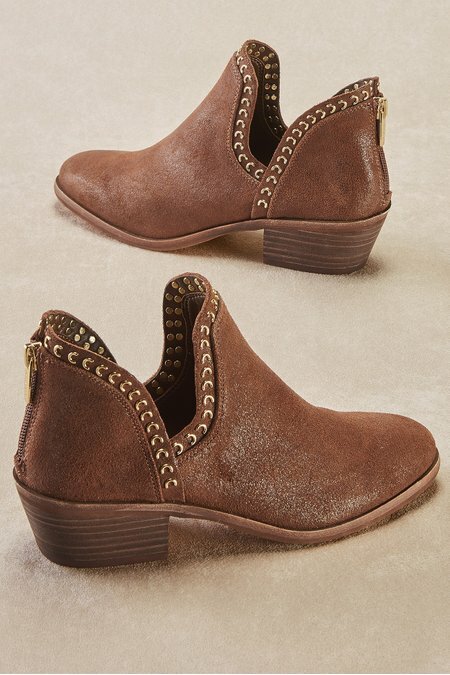 Both fine leather or velvety suede are enhanced with an exposed zipper, stacked heel and almond toe. 1-3/4" heel.